2019 Hyundai Ioniq - A hybrid so good you don't even know it. Introduced for the 2017 model year as a direct competitor to the Toyota Prius, the Hyundai Ioniq is considered by the EPA to be the most fuel-efficient mass-production vehicle sold in the United States. Available only as a 5-passenger, 4-door hatchback, the Ioniq is offered as a gas-electric hybrid, plug-in hybrid and all electric vehicle. It shares chassis and powertrains with the similar Kia Niro. Competitors include the Prius, BMW i3, Chevrolet Volt and Bolt EV, Nissan Leaf, Toyota Corolla Hybrid and Volkswagen eGolf. There are no changes for 2019. Standard equipment includes 15-inch alloy wheels, proximity key entry with push button start, 7-inch touchscreen infotainment system with support for Android Auto and Apple Car Play, blind-spot monitor and AM/FM/HD Radio/SiriusXM audio system. Both the hybrid and plug-In hybrid come with a 1.6-liter 4-cylinder gas engine that pairs with a 6-speed automatic transmission and electric motor for a combined output of 139 horsepower. The hybrid has a 1.6-kWh battery and the plug-in gets an 8.9-kWh battery, which allows the vehicle to operate for roughly 28 miles in electric-only mode. The Ioniq Electric is powered by an electric motor producing 118 horsepower. With a 28-kWh battery, the Ioniq Electic is capable of traveling 124 miles from a full charge. All models have front-wheel drive. Ioniq Hybrid starts at $22,400 and is available Blue, SEL and Limited trim. Ioniq Plug-In has a base MSRP of $25,350 and comes in Base and Limited trim. Ioniq Electric also comes in base and Limited trim and has a starting price of $30,315. Plug-In and Electric models qualify for the federal electric-vehicle tax credit. With a total output of just 139 horsepower, the Ioniq Plug-In certainly doesn't live life in the fast lane. When floored, gas-powered Ioniqs go from 0-60 MPH in roughly 9 seconds. That's certainly on par with the Prius, but a tick or two slow when compared to all-electric competitors. One nice feature is a traditional automatic transmission that works well to get the most out of the engine without creating all of the buzzing and moaning that is commonplace in hybrid models equipped with continuously variable automatics. In addition, the Ioniq Plug-In powertrain is very smooth and quiet in normal operation. It's hard to tell when the engine is running half of the time. The 8.9-kWh battery in the plug-in model takes about 8 hours to charge on a standard wall outlet and less than half that time on a level 2 charger. Given ideal conditions and an economy-minded throttle foot, you can easily eek out 25 miles of all-electric range. However, it should be noted that acceleration isn't as swift as when in hybrid mode and the gas engine will kick on automatically if more acceleration is demanded by the driver. As you might expect, fuel economy is an Ioniq strong point. With a combined rating of 58 MPG, the Blue trim level of the hybrid model is considered by the EPA to be the most efficient gasoline passenger vehicle. With a MPGe rating of 136, the Ioniq Electric gets the nod as the most efficient electric vehicle. As you might have already guessed, the Ioniq Plug In is also the most efficient plug-in hybrid with an MPGe rating of 119. In routine suburban commuting, it's easy to average close to 55 MPG overall. If you are able to plug in each night or while at work, you can push that number north of 75 MPG very easily. If you plug in daily and your commute is less than 40 miles round trip, you might be able to stay gas free all week. The nice thing about the plug-in version is you can operate in electric mode, provided you have sufficient charge, and the gas engine will only kick in when more acceleration is called upon. While in hybrid mode, the engine maintains battery at its current state of charge. On the road, Ioniq feels like any compact car, if not a bit more softly sprung and refined. The suspension does an excellent job of softening impacts and filtering out rough roads. There is very little bobbing and secondary motions like brake dive and acceleration squat are nicely muted. When the pace picks up around corners or on highway ramps, there's a bit of a queasy or week-kneed feeling from the suspension, that's likely more a result of the economy-minded tires. The electric steering feels natural and has a nice dead-spot on center. Brakes have adequate stopping power -- though stopping distances grow appreciably with a load of passengers. As is the case with most hybrids, pedal modulation takes some practice. In the Ioniq's case, there's almost no sensation of braking in regeneration mode and then, bam, the friction brakes take over and there's significantly more stopping power. Interior noise levels are best in class. There's almost no road or engine noise and wind rush is very well muted. Despite the Ioniq's sophisticated powertrain, Hyundai doesn't play any such games inside. The cabin is crafted with solid and price-appropriate materials and sports a very conventionally design. With a high-mounted touchscreen, simple dials and buttons for the audio and climate systems and traditional dial gauges, the center stack and instrument cluster are quite conventional. There's something to be said for conventional though. Ioniq is a very easy car to just get in and drive. There are no cleaver or quirky procedures. About the only thing that tips you off that Ioniq is anything other than a standard car is a button that swaps between hybrid and electric mode. All models come with a 7.0-inch touchscreen infotainment system, Apple CarPlay, Android Auto, and auxiliary and USB ports -- nice touches for an entry-level vehicle. The touchscreen interface is easy to use and doesn't require a comprehensive trip through the owner's manual. Blind-spot alert is a nice touch at this price point. Too bad that forward-collision warning is not also standard. The front seats are on the small side, but nicely padded and offer surprising head and leg room given the vehicle's tidy dimensions. The rear seat is designed for three adults, but honestly two is the comfortable limit. Even then, larger adults will be asking front-seat riders for more leg room. Outward visibility is great forward and to the sides. The rear view is blocked by the horizontally split rear glass and somewhat high hind quarters. Entry exit is a snap thanks to large door openings. The hatch cargo area is wide and deep, but keep in mind that cargo space changes with powertrain. The hybrid has a voluminous 26.5 cubic feet of space. Plug-in and electric models drop to 23 cubic feet thanks to the larger batteries. Either way, the split-folding rear seats remain. Interior storage is pretty standard fare with a nice center console bin, but the glovebox and map pockets are smaller than expected. Bottom Line -- Hyundai quietly built a better Toyota Prius with a lower cost of entry -- though watch out for the attractively priced Corolla Hybrid that's just become available. Ioniq's strong points include a refined ride, reasonably powerful engine, great fuel economy and low pricing. It also comes with an impressive warranty. Interior room and driving dynamics (given the mission) are also pluses. Ioniq Plug-In lists for just a few grand more than the hybrid version and at that price it should be a no brainer, even if you can't plug in all the time. Mark Bilek is the Senior Director of Communications and Technology for the Chicago Auto Trade Association and the General Manager for DriveChicago.com. 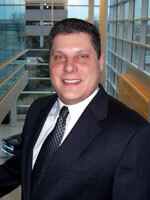 He is also responsible for developing and maintaining the Chicago Auto Show Web site. Mark has been reviewing vehicles for more than two decades. Previously, he was associate publisher at Consumer Guide, where he oversaw publication of Consumer Guide Car & Truck Test, Consumer Guide's Used Car Book, and ConsumerGuide.com. He was also responsible for publication of "Collectible Automobile" and various hardcover automotive titles. In 2001 and 2002 he served as president of a Midwest Automotive Media Association. Mark has appeared on NBC TV, ABC TV, Fox News, WGN and MotorTrend TV as an automotive consultant. He hosts the Drive Chicago radio show on WLS 890 AM and was a regular guest on WGN Radio's Steve & Johnnie show. Mark lives in the northwest suburbs with his wife and three sons.